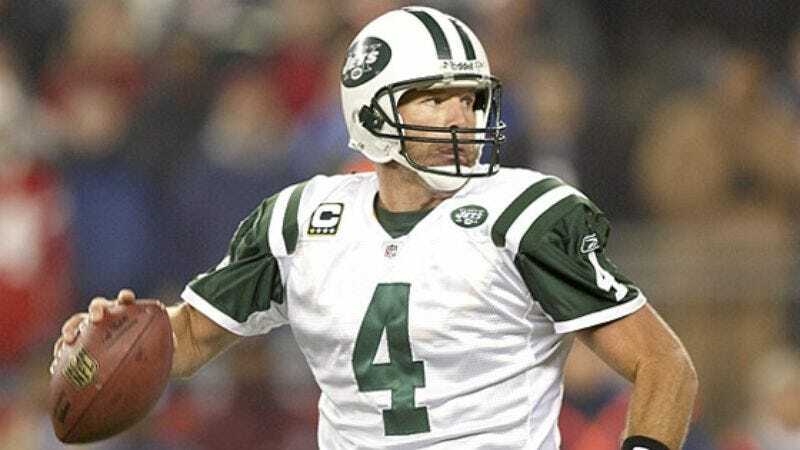 NEW YORK—Just weeks after safely handing off his legacy to historians and retiring as one of the most beloved sports figures in recent memory, Packer legend Brett Favre decided to make one last desperate heave for glory by signing with the New York Jets. "If I've learned one thing in my life, it's that sometimes you just have to put everything you got into one last desperate hurl for it all," Favre said after agreeing to a one year, $12 million Hail Mary contract. "I just thought I'd take everything I've come to represent, whip it as far and as fast as I could, and see who came down with it." Favre did not comment on whether or not he considered signing with the Jets to be a successful completion of his career or life.